We continue with our presentation of the wonderful recollections of Mr. Chidambaram Krishnan, a long-time devotee of Bhagavan Baba who came to the Lord under somewhat unusual circumstances. In the last Instalment , we left you wondering about a vision/dream that Mr. Krishnan had. He wanted to be sure, and decided then and there to dash off to Puttaparthi to check directly with Swami. In this the fifth instalment, we follow Mr. Krishnan to Puttaparthi to find out what happened. Read on. I had the dream around 4.30 AM and by 5.30 AM, I was back on the road, driving towards Puttaparthi, all the way from my home near Tirunelveli, Tamil Nadu. I travelled via Bangalore, where I made a halt to have a bath and also something to eat. After that break I drove on and reached Puttaparthi around 8.30 at night. In those days, Puttaparthi had not yet been electrified. Swami had about four or five petromax lanterns, and they would be put off by 8.15. However, on this particular day, I found that they were still burning when I reached the Mandir; it looked like Swami had not yet retired for the day. I was not only taken aback [because I had sent no message that I was coming], but also very scared that Swami might scold me. I told myself that this was it and that I was going to get it right and left. You see, I was still very new to Swami and I just could not figure out how He knew that I was coming. I climbed up the winding staircase and went to Swami’s room with great trepidation. I was shaking and shivering, not knowing what to expect. All the way, I was praying to my favourite God, Lord Murugan: “Oh Muruga, I am all confused and have somehow got caught up with this person who says He is God. You alone know everything. Please protect me, and see that nothing happens to me!” Those were my thoughts as I slowly went up! Finally, I was there in Swami’s presence, trembling all over. 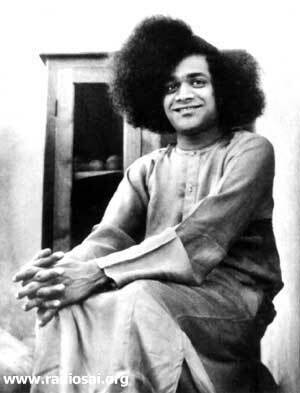 Swami looked at me, smiled and then said, “So, at least after the dream, you felt like coming back, did you?” It was just one simple sentence, but my God, that one sentence changed my entire life. It was only a short sentence but it said everything! I broke down and threw myself at Swami’s Feet. While all this was going on, I was still afraid that Swami might still severely rebuke me for running away the other evening. However, the compassionate Lord knew that if He spoke even one word on that subject, I would drop dead right on the spot! Instead He said, “Now that you have come, shall we discuss some details about your marriage?” What a dramatic turn! With that one magical opening sentence, Swami had not only pardoned me but also transformed me! All this happened on the night of 7th April. This astrologer, though settled in Madras, was actually from Andhra. He hailed from a village located on the banks of the Tungabadhra River. As a young man he was rather lazy and so he was driven away from home. Feeling depressed, he tried to drown himself in the river but was saved by a sadhu (ascetic). This sadhu then told this young man who tried to commit suicide, “Listen, don’t try to waste your life. I shall teach you the scriptures and some skills also. After that, go out and serve Society; do some good.” Thus, this astrologer was actually a good and God-fearing man. When this man accepted that Sai Baba was indeed God, I realised that Swami had sent me to this man in order to “wake” him up, so to speak. Later this man went to Puttaparthi and became Swami’s devotee. I replied, “Swami, I shall arrange a grand lunch for all the people attending the festival.” Swami was pleased and said, “That’s good. You serve lunch while I shall materialise nectar and distribute it on that occasion.” Swami then added, “By the way, just because you are arranging lunch, it does not mean people would automatically show up. This is a village and there are certain traditions. You have to go to every house and respectfully invite all the inmates. And you must go with a band!” I did precisely that. On Tamil New Year Day, a grand lunch was served and all were happy. In the evening, Swami asked for some water to be brought. He then materialised some nectar and mixed it with the water. The water then became sweet and acquired a nice fragrance too. Devotees were then seated in lines, and Swami moved among the lines with someone carrying the vessel that contained the water mixed with Divine nectar. As He approached, everyone was expected to look up with his or her mouth wide open; and Swami would pour a little of that Divine elixir into the mouth! That was how Swami used to distribute nectar on many festival days in that era. Of course, all that has changed now. The Tamil New Year Day over, Swami told me, “You now go back and return with your marriage party on the 28th of this month.” Summoning Suraiya, He once again told him, “Listen, in all about 1,500 to 1,800 people would attend this marriage. So lunch arrangements would have to be made for that number.” Turning to me, Swami said, “You had better send a car two days in advance, for helping with the shopping trips, etc. Also, send your relative Kailasam along with the car, so that he can give a helping hand.” I said I would follow Swami’s instructions to the letter and came out. Suraiya also came out along with me and the moment we were out, he said that only the 350 or so people in our party would attend the marriage and that therefore there was no need to procure provisions for cooking for 1,500 or more guests. In those days, nothing was available in Puttaparthi; it was very much a small village. If one wanted groceries, one had to go all the way to Hindupur, more than fifty kilometres away. I was therefore very much worried by the stand taken by Suraiya. Swami was indeed very practical and thoughtful. For cooking for a large party, huge vessels would be needed. Where to get them from? 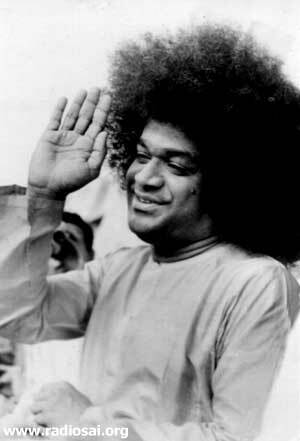 Swami told me that three days before my marriage was to be celebrated, He would be performing another marriage – the son of the brother of one Pattabhi Chettiar of Mettupalayam in Tamil Nadu. Swami said that Chettiar would be bringing the cooking vessels for the marriage in his family and that Chettiar can be persuaded to make those vessels available for your marriage also. Having said that, Swami added, “Make sure you invite the entire Chettiar family for your wedding!” That was how meticulous Swami was about various details! And so, as advised by Swami, our marriage party arrived in Puttaparthi on 28th April for my marriage. We were a big party, and travelled to this place in seventy cars! Our party included also my eldest brother, who was vigorously opposed to my marriage all along. How then did he form a part of out party? Ah, that is a separate story, which I shall now narrate! 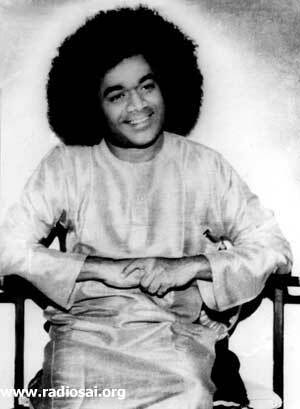 When Swami gave me the Interview in Puttaparthi and we discussed dates for the marriage, Swami told me, “You should also invite your eldest brother. He will surely attend the wedding.” I was shocked, stunned, and surprised. I said, “No Swami, that is not possible. If he comes to know there is to be a wedding and also the date, You can be sure he would show up here with the Police to stop the marriage!” Swami just listened to that and did not offer any comment. Later, when I took leave of Swami after the celebration of the Tamil New Year’s day was over, Swami again told me, “Remember, as soon as you reach home, you are going to tell your eldest brother everything and you will invite him.” Once again I pleaded with Swami, “Swami, please not now. Let the marriage first get over. He can then be informed. If he comes to know of the marriage in advance, he is sure to obstruct it.” Swami curtly told me, “Stop talking nonsense. Do as I say. Just go to him and invite him. He is sure to attend the marriage.” I feebly protested but Swami firmly overruled me. I then left Puttaparthi to return home and make arrangements for the marriage. Our dialogue went on like this, me pleading and he refusing to give in. I then silently prayed, “Swami, with full faith in You, I have followed Your instructions to the letter. Now look what’s happening! If I had not told my brother, at least the marriage would have gone through, and we could have worried about informing him later. But now, I am stuck!” Feeling thoroughly depressed, I withdrew and slowly started to go back to my house. As I was opening the gate to get out, my brother suddenly called out, “Come back here!” I was puzzled and wondered, “Now what? Does he want to frighten me even more?” I feared that he might even beat me. Anyway, I went back to his presence. My brother asked, “What did I tell you just now?” With much frustration I replied, “Well, you just ticked me off left and right and threatened me with all kinds of unpleasant consequences, if I went ahead with the marriage.” I was stunned by his reply to this. Slowly he said, “Yes, I did say all that. But how wrong was I to say that! Father and mother are gone, and I should have taken the responsibility of getting you happily married. Instead, I was trying my best to obstruct it. I really do not know what possessed me to say all those horrible things.” There were tears in his eyes, as he said those words. I just could not believe what was happening. I mean just a few moments ago, there he was threatening me with dire consequences and now just seconds later, he is shedding tears, saying how wrong he was and how it was his duty to see his younger brother happily married! A mere couple of seconds and my eldest brother was a totally changed man. Gone was the bitterness, gone was the hostility, and gone was the anger. Instead, he was now speaking to me with so much love and affection. My God! What a spectacular transformation, in the twinkling of an eye! This man Mudaliar was absolutely knocked out. He knew the strong objections my brother had against my marriage and here was this same man, giving instructions about a grand reception after the wedding and things like that! How did this somersault occur? Anyway, there was no time for analysis since instructions were coming in a torrent. He was however quite happy that bitterness had evaporated and replaced with love, care and concern. The brother’s problem having been solved, it was marriage next. That would be described in the next instalment!